Back to all museums in Brazil. Address: Road (partially unpaved) from Tiradentes to Bichinho, after 5 kilometers on the left, Minas Gerais district. Website: none, see www.retroauto.com.br or www.viaggiando.com.br. 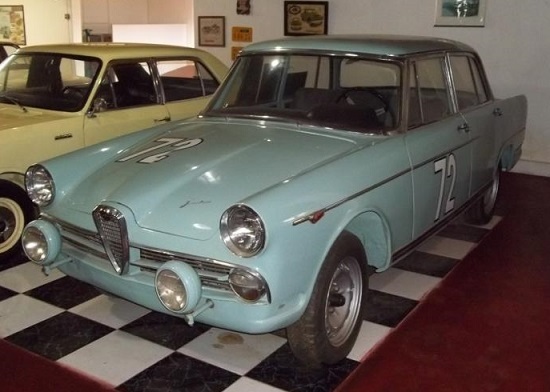 Models on display: FNM 2000 JK (based on the Alfa Romeo 2000) from 1960, which was raced in the 6th Mil Milhas Brasileiras in 1960 and at Interlagos in 1961 by Chico Landi and Christian ‘Bino’ Heins. The car ended both events first. Remarks: Small but nice museum with around 40 cars from Brazil and Europe, opened in 2006 owned and run by the Cerqueira family. The cars are in good condition and are from time to time hired to appear in movies.